Making a serious life change will invariably take time. Few people possess the fortitude and motivation necessary to implement a new lifestyle overnight; it’s important for people seeking debt relief to be patient and prudent. While you can put yourself in a terrible financial hole in a matter of days, getting out of debt is a long-term project. Fortunately, making intelligent financial decisions over a long period of time will protect you from dire situations. Lastly, patient people are less prone to purchasing products impulsively. Remember, good things will come to those who wait! 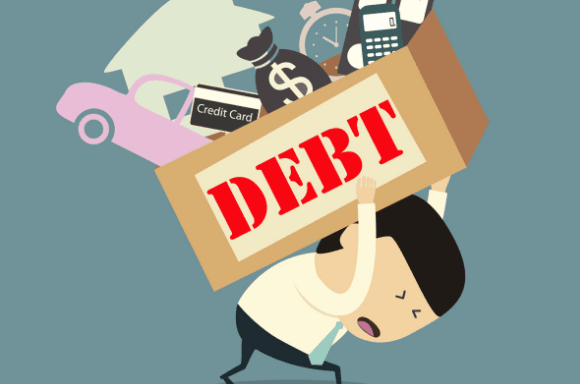 Sometimes people inherit debt or find themselves forced into a tricky financial bind by circumstances outside of their control. On the other hand, many fall into debt simply because they fail to monitor their own behavior and spending habits. Frivolous expenses and knee-jerk investments rarely offer solid pay-offs and instead will hamstring professionals who want to build a reliable economic foundation. Modern professionals change careers on a semi-regular basis. One day you may be working at a company that manufactures complex lab equipment like cellscraper products, only to find yourself selling POS systems to pharmacies six months later. The point is that those who are able to learn on the fly and pick up new skills quickly hold a distinct advantage in an often volatile job market. This may include being flexible enough to use relatively new tools like swagbucks. It takes a big person to admit when they’ve made a mistake –– financial or otherwise. Yet, recognizing when you’ve made a bad decision and subsequently asking others for help is one of the best ways to ensure your financial well-being for years to come. There’s no shame in seeking out assistance in trying times. After all, some of the most successful entrepreneurs hire entire teams of experts to manage their personal wealth. It may sound simple, but having the humility to realize your own limitations will prevent you from making some debilitating mistakes.